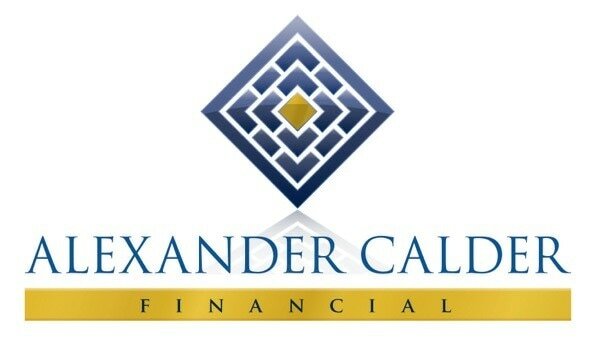 Alexander Calder Financial Limited was formed in 2001 following the closure of the UK operation of an international financial services company. The two founding partners were joined over the following months by 3 further advisers who had all worked together since, in some cases, the 1980's. We are based in Worksop and offer financial planning services to private and corporate clients across a wide spectrum of need areas. The now 7 full-time advisers are supported by 6 administration staff ensuring that client service is always at the forefront of what we do. Our approach is to understand the needs of the client, what plans they already have in place and what action needs to be taken to achieve financial goals. We are very focused on long-term client relationships as we build a plan and review regularly to ensure that the objective of the client is met . We are generally 'there' at most major life events to ensure financial stability is achieved. Our services include pensions for the individual and employers (meeting workplace pension obligations), investments utilising the tax beneficial products available, and protection products to ensure finances are stable when life throws a curveball. We work with some of the most highly respected and well known investment managers in the UK and can offer very bespoke investment management for those who need that little bit more involvement to achieve their goals. In addition, our associated business The Mortgage Shop, based on Bridge Street in Worksop, offers mortgage advice to both our clients and the general public. We are pleased to once again support NNBA as the region continues to evolve and grow and look forward to presenting the Company of the Year with their award. ​Bassetlaw District Council is committed to having North Notts as a strong economic base. The Council provides business support in terms of direct and virtual advice, offers start up grants and assistance for businesses applying to regional and national schemes and promotes the area, particularly by working with partners to attract new businesses, visitors and tourists into the area. Aspiring to be the number 1 Traffic Management Labour Supplier in the UK. Traffic Labour Supplies Ltd can supply a varied range of specialist labour to meet any traffic management specialist. Whether you require motorway maintenance workers or event management, we have the turn key solution to your planning of specialist labour. At Traffic Labour Supplies Ltd, our company’s core values include honesty, to excel in gaining respect from our employees, teamwork and a commitment to building long term relationships with our customers. We strive to provide a reliable, affordable service that is second to none. We look forward to building an excellent relationship with you. We supply our own Edgewise™ branded products; Edgestrip Profiles, Spreader Bars, Tape, Bagseals and Cornerwise which are used in the electrolytic refining of metals where our largest sector is copper refineries. Our customers are based throughout the world and we supply our products to Australia, Canada, Chile, China, Democratic Republic of Congo, Finland, India, Japan, Laos PDR, Mexico, Romania, Russian Federation, South Africa, USA and the UK. Most of the Edgewise products are used to protect the edges of the cathode plates used during the electroplating of copper (and other metals) to form pure sheets or mother blanks, from which every type of copper product can then be produced. The Bagseal product is used within specialised polishing filters to seal the filter bags onto the filter elements for filtration of the electrolytic liquor. We provide each customer with a customised product to match their exact specifications, manufactured to very high tolerances and precision. We exclusively machine our polypropylene Edgestrip Profiles from press formed sheets rather than using the more conventional extrusion method of our competitors. This makes our products not only unique but technically superior making them the best of their type worldwide. Edgewise Edgestrip Ltd were also finalists for the International Development Award in the Midlands Region's very prestigious Family Business Awards 2015. ​North Notts Envoys is a scheme that unites businesses, organisations and individuals across the area in a powerful network to change perceptions of our place and raise its profile. Along with the North Nottinghamshire Place Board, Envoys act as the sales force to spread the word, help change perceptions and promote the area as a great place to work, live and visit. Our events typically attract 60-70 attendees, are very much focused on the place and are complementary to other local business events. Envoys range from the smaller local businesses, charities and social enterprises, through to the likes of CenterParcs, NatWest and Handelsbanken. ​As a local firm of Chartered Accountants, Wright Vigar take pride in supporting local business, and have experienced teams based in Retford at Chancery Court, West Street, and slightly further afield in Gainsborough, Newark, Lincoln, Sleaford and London. As you would expect, Wright Vigar Chartered Accountants are professionally proficient in all key areas of accounting such as auditing, taxation, pensions and corporate finance, but to us, these are just the basics. We also concern ourselves with the people in the business, as well as the figures. We are personal as well as professional, and we actively encourage you to look beyond the numbers and explore your business aspirations. If you find that approach refreshing, and would like to hear more about the services we can offer you, you can do this in 3 different ways! Call the Retford team on 01777 70737, email us at action@wrightvigar.co.uk or hop onto our website www.wrightvigar.co.uk – we would be delighted to hear from you! ​Specialising in Fire Risk Assessments for all types of premises. We have an extremely diverse portfolio, covering small businesses, shops, pubs, HMOs, flats, large industrial complexes, prison accommodation units and even food manufacturing plants.We provide support, fire management, training and documentation to cover all areas of legal compliance. ​Arriva is one of the largest providers of passenger transport in Europe, employing more than 60,000 people and delivering more than 2.2 billion passenger journeys across 14 European countries each year. We operate a wide range of services including local buses, inter-urban commuter coaches, local, regional and national train services, trams and light rail, waterbuses, demand response, and non-emergency patient transport. We work closely with our transport authority clients in the design, creation and integration of networks and services, aiming to provide our customers with a smooth and seamless experience from the start of their journey to the end. We are also part of Deutsche Bahn, one of the world’s leading mobility and logistics companies, and are responsible for the wider group’s regional passenger transport services outside Germany. ​Ilett & Clark Solicitors are based in Worksop and have an award winning reputation based on providing high quality legal services to businesses and private individuals locally and nationally. The Preparation Group is a leading Surface Preparation, Surface Removal and Surface Finishing Specialist that prides itself on providing a service which is second to none, setting industry standards and adding value to customers' business activities. We supply cost effective Equipment, developed by us using the latest technology and a complete range of Services including, Machine Maintenance and Repairs, Contracting and Training. We offer project solutions to a diverse range of industries and have a strong reputation for our honest approach, technical advice and quality products. 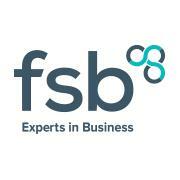 ​The FSB (Federation of Small Businesses) has grown since our founding in 1974 into the UK’s leading business organisation. Our mission is to create the best environment for businesses to start up and thrive. Our success will drive the economy and create jobs. We are member-led, so that we authoritatively protect and champion the interests of nearly 200,000 self-employed people and owners of small firms. We are strong in every industry sector of the economy, and in every nation and region – England, Scotland, Wales and Northern Ireland. Proud of our independence, we ensure the voice of small business is heard by decision-makers at every level of Government – from a local council right through to Brussels. We are a cross-party, non-partisan organisation, and so we work with councillors, MPs, MEPs, Peers and elected representatives from all major political parties and in all Parliaments and Assemblies. We campaign, but we also bring our entrepreneurial spirit into our work by proposing practical policy changes and being part of the solution. More broadly, we support our members at every stage of their business journey. We provide them with market-leading business services from insurance and business banking through to legal and tax advice.